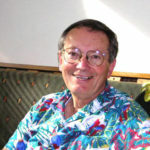 Bill Tomaszewski was the founder of the New Hope Metaphysical Society in 1990. In those days , the organization was called The New Hope Channeler’s Support Group and met at the New Hope Public Library in New Hope, Pa. Here is an article that Bill wrote giving an explanation as to the inspiration and origins of the organization. “The New Hope Channelers Support Group in Pennsylvania was founded in 1990. Over the years it has evolved and its visionary leaders have expanded the range of programs, changed the Group’s name and relocated the meeting site. The Group is now called The New Hope Metaphysical Society and has its own website. My story is about how the idea to start a support group for people who channel originated and how it grew into what it has become today. It wasn’t my idea but the concept was channeled to me…I just followed through on the spiritual guidance. It was in early August of 1990 when I walked up a flight of stairs to the apartment of the trance channel (Kelly Kolodney-Sheehy) in Lambertville, New Jersey. I had made an appointment to talk with the angel, Raphael, the entity she channeled. That was the summer, if you recall that the Hollywood film “Ghost” was pulling audiences into movie theaters. As I was making my way up the stairs, my thoughts wandered to previous readings I had received from other trance channels. During those readings I was given the unexpected advice to take a training called Reiki, and to have it taught by a particular person named Beth Grey from California. I was also told to study the book “A Course in Miracles” and I was also told to read Ruth Montgomery’s book, “Strangers among Us”. I followed all three of these suggestions and they have been life changing for me ever since. 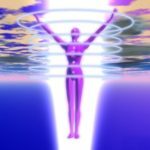 For me, personally, visiting trance channels and conversing with the non-physical entities had been very helpful. For, at that time, unanticipated events and troublesome situations were controlling my life and making me unhappy. I felt out of control and very confused about my direction in life. A quick history -After a successful career in the army, I left with an honorable discharge and was ready to conquer the world. I was married with three young boys and a life full of adventure ahead but then, the adventure became a nightmare when separation and divorce almost drained the life out of me. I had strayed off my path and found myself mired in the backwaters of depression. So, I turned to psychics and channellers for advice and counsel so as to see my way out. Whenever I would go “one-on-one” with the spiritual entities, I would jokingly comment that the conversations I had with them were very inexpensive psychotherapy sessions. For during these sessions, it seemed that they had a wisdom and a higher perspective about my life that I did not nor could not have. During a session, when I was listening to the information coming from them, I often pictured myself walking up to (one of the universe’s) information booths to ask for directions to “lead me out of the forest of my confusion” and received a quick instruction manual that showed me the way out. So that a trance channel, for me, became a welcome guide who could point the way out of the woods of my dilemmas, so to speak, with efficient grace and ease. The channeled information I received over the years has always been very clear, concise, wise and extremely helpful and has become one of the main resources I have used as guidance in this challenging world. So, I knew why I had come to see Kelly and to hear the angel Raphael. I wanted Raphael to give me some insight in regards to the idea of trance channellers becoming more accepted in mainstream society and to become more acceptable to themselves. After Kelly came out of trance, I told her of Raphael’s proposal to me; to start a support group for channellers. A friend of mine, Linda Kalin, who was also one of the attendees, knew how to type and offered to make simple notices about this new support group. Soon enough, with notices in hand, I ventured forth to health food stores, and New Age bookstores to place them on their bulletin boards. I even dropped a few off at area newspaper offices. After the notices went up, people began to contact me about the first meeting. Many people, coming out of their spiritual closets, perhaps for the first time, began to attend the meetings. Men and women from all walks of life who were either practicing channeling quietly among their receptive friends or people who were just interested in channeling were filling the meeting room space. New people were always attending and some were often concerned about how much to reveal about themselves. However, people could relax at these meetings and soon learned that they could be themselves and not feel intimidated. I certainly didn’t look like or act like an authority on channeling. I would wear my Hawaiian shirts in an attempt to keep the energy of the meetings light and became known for my sense of humor. Laughter is a form of healing. I often invited people whose business cards I had seen on the bulletin boards in New Age bookshops and health food stores in the nearby neighborhoods of New Hope and Philadelphia, Pennsylvania. I asked these guest channellers to speak about their unusual ability, to give the group background information about their personal life and I gave them the opportunity to demonstrate their specialty in front of a supportive audience. The Group attracted many people to the meetings to hear several speaker/channels who combined their channeling aptitude with unique abilities to entertain, inform or heal. Articles about our group were soon published in The Intelligencer, a newspaper in Doylestown, Pa., in The Philadelphia Inquirer and, later, in the Wall Street Journal in 1992. The New Hope Channellers Support Group soon became a hot item in the media and I, along with several members of the group, were invited on local radio and television programs to speak. One day, I returned home after an appearance on a Philadelphia morning television show, to find my telephone answering machine completely full for it had recorded more messages than ever received before. People wanted to talk about their personal experiences with me. People wanted to share the difficult times they had had in dealing with loved ones who didn’t understand anything about channeling or who did not want to share in their interest in metaphysics. It seemed that there were many people out there who related to the group I had created, who just wanted to open up and talk to someone who was willing to listen to them without judgment or criticism. Now, this was happening in just a small area of the East Coast of the United States. I also wondered how many more people with unusual abilities were out there with no support. So, I felt good that I could start one such organization for the people in my area. It has been a long time since I had that “date with an angel” in Lambertville, NJ . but the message she gave me inspired me to start a society that has continued to this very day supporting people who have an interest in the spiritual dimensions of life and in communicating with these dimensions for inspiration and loving support.